Some clouds. Low 42F. 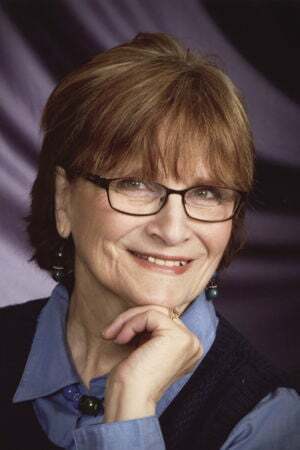 Winds light and variable..
Valerie Rae French, 70, of Ridgefield, Wash., peacefully went to heaven on Saturday, Jan. 26, 2019, at Legacy Salmon Creek Hospital in Vancouver. She was born Oct. 18, 1948, in International Falls, Minn., to Virgil and Virginia Stone. Valerie was a graduate of Mark Morris High School and attended Northwest College. She is survived by her husband of 51 years, Daniel French; and was the loving mother of Michelle French of Vancouver, Nicole MacKenzie and her husband, Paul of Ridgefield, and Matthew French and his wife Megan of Edmonds; a granddaughter, Isla MacKenzie; two grandsons, Eilean MacKenzie and Liam French; two sisters, Gayle Hanna of Longview and Julie Meek of Vancouver; and a brother, Gary Stone of Oak Park, Calif.
Valerie enjoyed many adventures in life. She enjoyed traveling, taught Montessori School, loved to spend time at the beach with her family, and doted on her grandchildren. She and Dan owned various assisted living facilities and she spent many hours volunteering and working at her church. Valerie was a much beloved wife, mother, and grandmother; her family was her life and her heart was for children. She was known for her gentle spirit and great sense of humor. Valerie was lovingly called “GaGa” by her grandchildren. She would walk through the house followed closely by her three grandchildren and Lucy the cat. All who knew her loved her and wanted to be near her. She will be dearly missed. A memorial service is planned for 11 a.m. Saturday, Feb. 16 at the Ridgefield Nazarene Church, 747 Pioneer St.